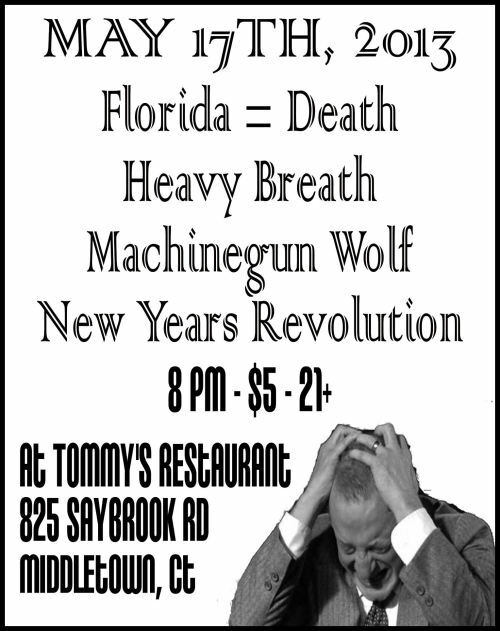 Since Tommy' Restaurant in Middletown started doing punk shows last summer, it has become a reliably fun place to go to see a variety of Connecticut's most exciting and relevant acts. With its low door price ($5, all of which goes to the artists), affordable drinks, delicious entrees and gorgeous patio view, Tommy's provides a unique atmosphere for people of all walks of life to gather and take in a gig. 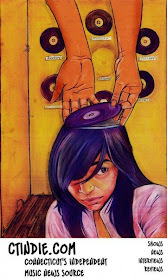 The latest installment of the Tommy's punk show series (and first since February!) 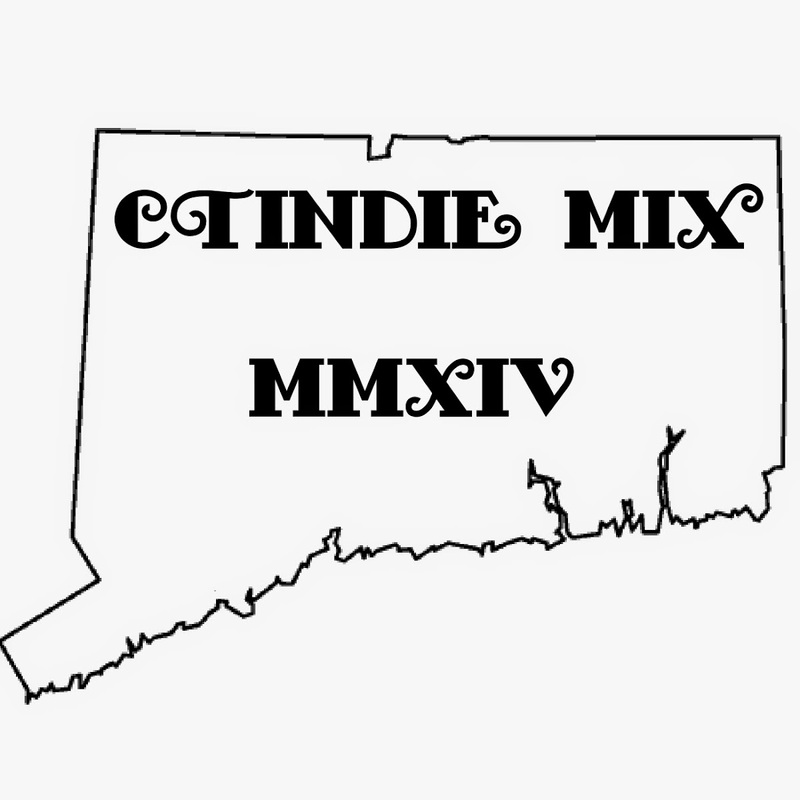 features four bands that any regular in the CT scene should be familiar with. Florida = Death, noised-out weirdos making a rare CT appearance promoting their newest LP, Post Information. They play what they call "Post 911 Jazz"
Heavy Breath, about to release their Muddy Life EP on one-sided 12" via Battle Stag, Red Beard and Riotous Outburst records. Going into the studio with Ian Bates from Manners to record following this show. New Year's Revolution, superheroes of folky pop-punk, currently finishing up their first LP with Carlo from No. Tommy's is super easy to find, located at 825 Saybrook Rd. in Middletown. All shows there are $5 to enter and 21+. Doors open at 8 PM.